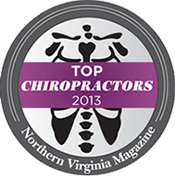 Our treatment goal with any patient that enters our office is always to improve their overall health and wellness. The first step in this process, many times, begins with reducing and eliminating their symptoms (e.g. pain, inflammation, swelling, muscle spasm). Therapeutic modalities such as therapeutic ultrasound, electrical stimulation, traction, hot paraffin, cryotherapy (ice) and heat are often used as an adjunct to spinal and extremity adjustments to help speed the reduction of these symptoms. Therapeutic ultrasound is a high frequency vibration that, when applied to the affected area, reduces pain, swelling and inflammation. 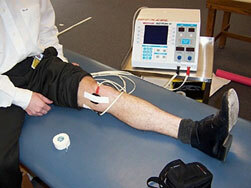 Electrical stimulation modality is used to reduce muscle spasm and also has a pain sedating effect. Traction is used to reduce gravity’s compressive affect on the spine and discs. Hot paraffin baths are especially helpful in providing relief for patients with arthritic joints, particularly of the hands, elbows, and feet. Cryotherapy (ice) is used to reduce swelling and inflammation along with providing a local anesthetic action. Moist heat is used to increase circulation to the healing area and is both soothing and relaxing to spastic muscles. The second step in the process of improving overall health and wellness is to correct the cause of the condition. The symptoms you feel is all part of your body’s protective and healing mechanism that has been developed over millions of years of evolution. Pain is one of your body’s alarms to tell you that something is wrong and needs to be cared for. Without pain signals we would continue to use a damaged area and cause more damage. Even with pain signals, many people ignore these alarms causing more damage. Muscle spasm is a protective mechanism that your body uses to “splint” an area, preventing it from moving freely so that further reckless motion is eliminated, thereby reducing the possibility of further damage. Swelling of tissues is a way by which your body protects itself by providing a cushion of fluid around the injured area. Inflammation is a process your body uses to begin the healing process. Inflammation brings healing and repairing elements to the damaged tissue. Improving your health and wellness is not achieved by simply reducing or eliminating symptoms but rather by finding and correcting the cause of these symptoms. If your dashboard light was sounding an alarm (symptom) that the oil was low you wouldn’t turn off the alarm as a correction of the problem. You would find out why the oil was low and correct the cause of the problem. Therapeutic modalities are used to help speed the reduction of symptoms while the cause of the condition is corrected. Without correcting the cause of the condition, the condition continues to occur over and over AND continues to get worse and worse.